Articles and ideas to help you live a fulfilled life! In this month’s Retirement Roundup, we’ve curated our favorite articles from around the web to help you plan for and live successfully in retirement! We start off with an article that answers an important question we get asked A LOT these days: should you own bonds in a rising rate environment? We discuss why owning bonds is important, especially near and in retirement, and why bonds should have a place in your investment strategy – regardless of the interest rate environment. We follow that up with the Pope weighing in on investment advice (yes, you read that right – Pope Francis), which is especially relevant this week, given the DOA status of the DOL’s Fiduciary Rule. Then, we switch gears to a little Op-Ed (read: rant) regarding Amazon’s dash buttons. These little convenience buttons have been around for about 3 years now, and frankly, have always baffled me. People are obviously buying these, due to Amazon’s incessant suggestions that I purchase one – for diapers and Doritos alike! But buyer beware. These little buttons further remove us, as consumers, from conscious buying decisions. Lastly, we send you off into your weekend with wise words from one of the greatest writers of the 20th century, C.S. Lewis, and some insights on social security and how to avoid costly mistakes when you file for benefits. 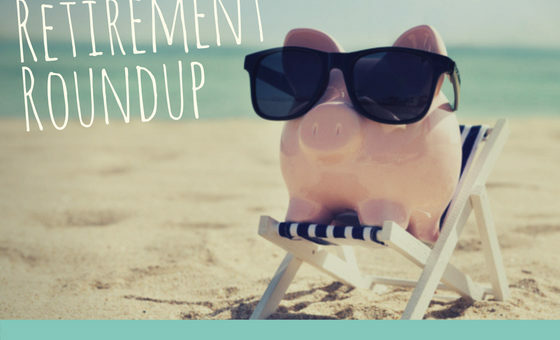 Enjoy this month’s installment of the Retirement Roundup! With interest rates rising and bond prices dropping, clients are asking: “why do I even own bonds?” Good question. Interest rates have been in a fairly steady decline for the last 30 years, which means that the average investor today (even if you’re in your 50s or 60s) doesn’t really know what it feels like to lose money in bonds. However, with the Fed expected to continue raising rates this year and U.S. aggregate bond index down 1.2% YTD (through 5/29/18), investors are beginning to question the validity of this bedrock asset class. Who woulda thought that the Pontiff would weigh in on client/advisor relationships, but a Vatican bulletin issued this month criticizes “advisors” who don’t act in the best interest of their clients. In other words, Pope Francis criticizes financial advisers and how they manage the “savings” of their clients, placing profits above what is in the best interest of the client. We hear ya, Pope Francis. The desire to be fiduciaries to our clients in all circumstances is a big reason why we became independent, SEC-registered investment advisors. No commissions and conflict-free advice is what we’re all about. But with the DOL fiduciary rule now DOA, many investors have lost important protections that would have required their advisors to act in their best interests. If you aren’t familiar with an Amazon dash button, it allows you to re-order something from Amazon just by pushing a button. Whether you’re ordering laundry detergent, paper towels, or razor blades, there’s a dash button for it! The idea is that you place the dash button wherever you keep your frequently used item, so all you have to do when you run out is push the button, and 2 days later – BAM! More Doritos arrive. As a working mom with an almost 4-year-old and an 8-month-old, I love Amazon – a lot! We have Amazon packages arriving at our door almost every week. But you know what’s interesting? Amazon wouldn’t peddle these dash buttons if consumers weren’t buying them. 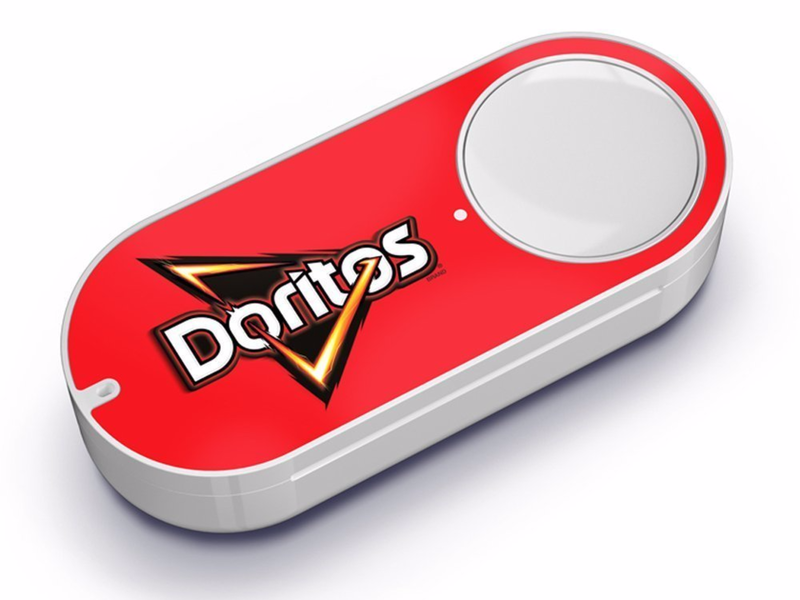 Some people (mostly potheads, I’m sure) own Amazon dash buttons for Doritos. A lot of people own dash buttons for a variety of essential household goods. I don’t really understand the appeal of the dash button considering it only takes about 1 minute to re-order something from your Amazon app. Actually, it takes 55 seconds. I timed myself while re-ordering diapers this week. But the argument over whether or not they are really more convenient than traditional Amazon ordering isn’t really the idea behind this rant. Because there is something more troubling going on here. Amazon dash buttons train consumers to never think twice about buying again. It’s ordering without ever checking the price of what you’re buying. Do consumers trust Amazon so much that they are willing to press that dash button without ever checking the price of the item? If you’re someone who values frugality and prudence with your financial decisions, you should be wary of anything that encourages mindlessness in the name of convenience. The dash button embodies mindless shopping, so buyer beware! I don’t think C.S. Lewis was thinking about investors when he wrote this, but it certainly has some implications for investors, doesn’t it? Too many investors make emotional decisions fueled by fear and greed when it comes to their investments, which can lead them over the cliff. 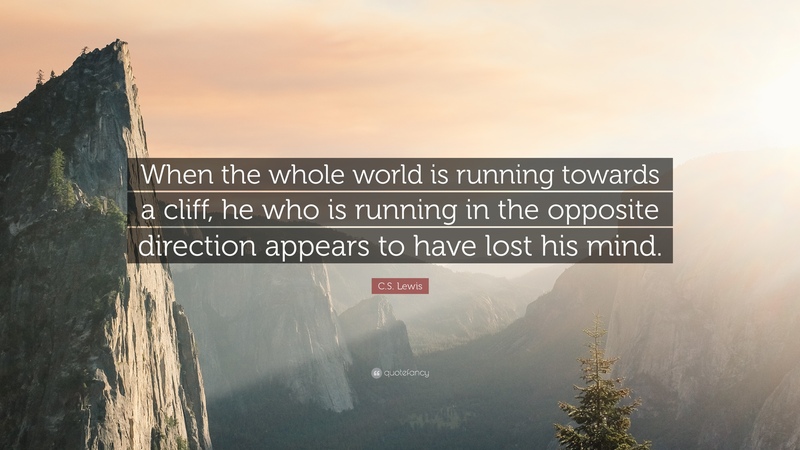 Acting contrary to others (buying when others are selling, and selling when others are buying) might look crazy to everyone else, but hey, they’re the ones heading towards the cliff, not you! Making the right decision with your social security claiming strategy can be overwhelming, and even though the SSA makes this decision incredibly complex with a myriad of rules, they don’t offer guidance, help, or advice about the best claiming strategy. The result is that most Americans are left to take a crash course in social security rules and hope that they make the best decision. The social security filing decision is one of the most important decision many Americans will make in retirement, and missteps can be very costly. That’s what happened in the case study illustrated in this article about Kay Dobson, 68. “She recently learned that an admitted unfamiliarity with Social Security’s arcane rules cost her about $31,000 for two years of foregone spousal benefits based on her husband’s earnings.” Yikes! Many people don’t realize that their age, marital status, and whether or not they have been divorced or widowed all have an impact on their claiming decisions. This is a great case study that illustrates how important it is to research, ask questions, and weigh your options. At True North, we have the knowledge and the tools to help you choose an optimal claiming strategy, so be sure to always consult with us before making a decision regarding social security. 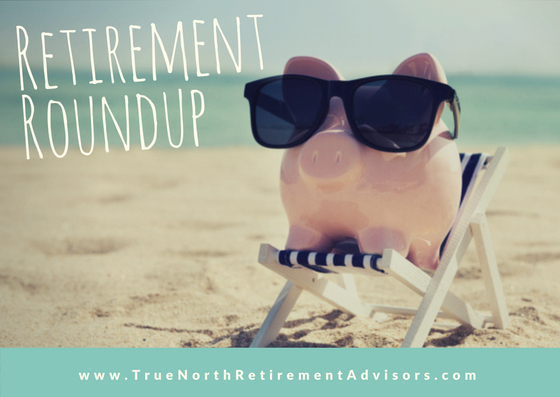 Thanks for reading this month’s Retirement Roundup! Did you enjoy reading this? Do you want more content like this delivered to you each week? Not yet a client? Want to talk about how we can help you reach your retirement goals? Schedule a 15-minute call with us! It’s free – no pressure, no sales pitch.